I was in a mood for steamed gyoza the other night. 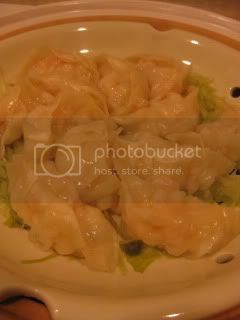 With my donabe-steamer, "Mushi Nabe", I can cook and serve these steamy dumplings right at the dining table. 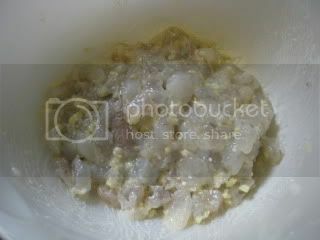 First, 8 oz shrimp (peeled, deveined, and minced), 1 tsp minced ginger, 1/4 tsp minced garlic, 1T katakuriko (potato starch), 1T sake, 1 tsp shio-koji (or you can substitute with a pinch of salt), 1/4 tsp sesame oil, and a pinch of black pepper were mixed by hand in a bowl. The filling was covered air-tight with a piece of plastic wrap and rested in refrigerator for about 30 minutes. 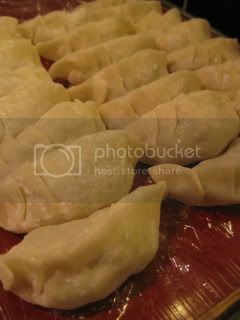 Then, it was wrapped in gyoza wrappers. 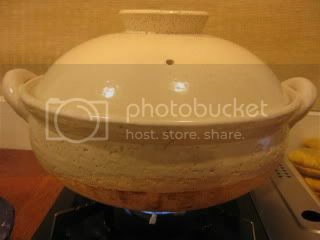 Mushi Nabe was set with water inside over a portable gas burner. 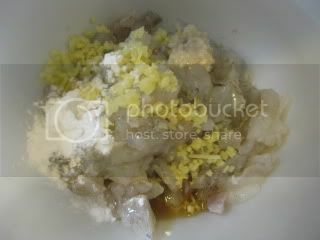 Once the water started boiling, gyoza was arranged on a bed of sliced cabbage in Mushi Nabe. After about 8 minutes of steaming, gyoza was ready. 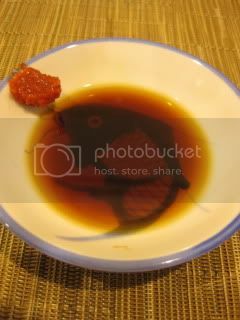 It was served with soy sauce and black vinegar mixture (2:1 ratio) with a little karashi mustard. 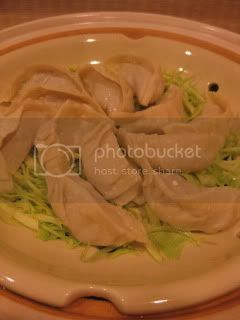 The texture of the dumpling was so bouncy and juicy. It was so light that I could keep eating so many. We ended up doing 3 batches of it. Wonderful dish.